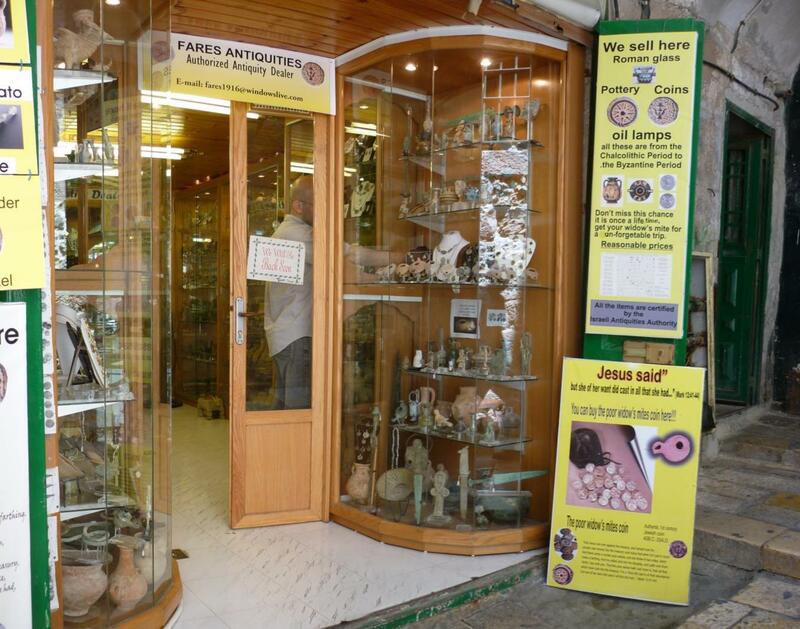 This shop sells coins based in Luke 21:2-4 about the story of the Widow’s copper coins she gave to the temple treasury. I was on the way to church coming back from the Kotel, so I didn’t get to properly see this shop, but I imagine these coins offered could be genuine as there is an abundance of history under the ground that has been discovered all over Israel. These sorts of antiquities stores are pretty unusual as they sell jewelery made from pieces of Roman glass found in archelogical sites. Some of these stores actually fashion pieces of glass that are cut and filed to shape and set in broaches, necklaces etc.